A comprehensive discussion of Options for all level – beginners, intermediate and advanced. 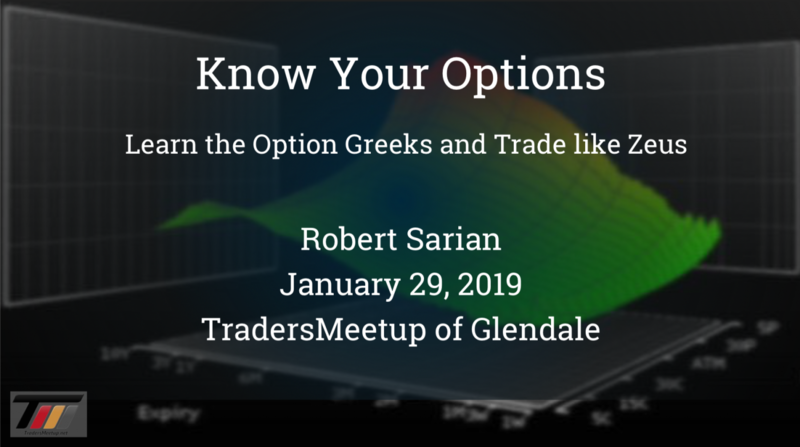 Robert Sarian’s presentation will show the importance of the Option Greeks to properly construct option trades and how to make tradeoffs between risk and profit. There will be illustrations of conservative option trades that every stock investor can utilize to safeguard their portfolio and generate income, as well as examples of speculative trades and trades to consider during Earnings. For experienced traders there will be an opportunity to discuss some of the advanced topics such as volatility surface, skew, IV vs HV, etc. There will also be plenty of time to ask questions and review various sample option trades.